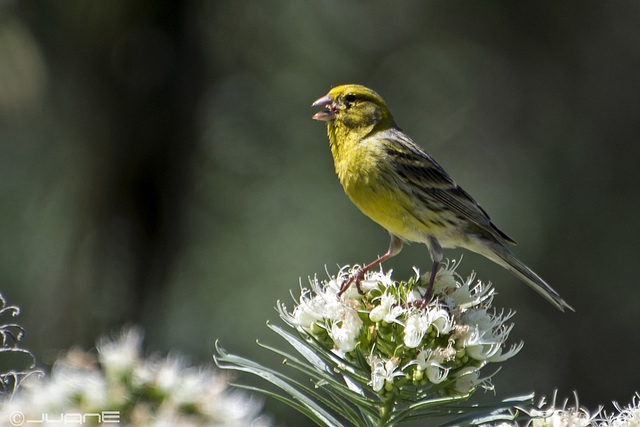 Located 100km off the West African coast the Canaries are already known by many for their warm winter climate but are usually overlooked for their culture and heritage interests; on this tour you can enjoy both. Along with all the major sights and plenty of time for relaxation you will be escorted to places seldom reached by others whilst enjoying the very best European winter weather. With an eternal spring expect blue skies and daytime temperatures of low 20’s, evenings of 15, considerably warmer than Southern Spain. Whilst being Spanish the Islands retain a strong individual identity with many islanders considering themselves Canarian and only secondly Spanish. Maintaining a duty free status, the islands are exceptionally good value for shopping & eating out, and with fuel well below European prices you won’t be spending much on Diesel. 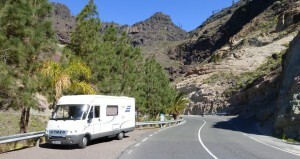 Get away from the after Christmas cold, take yourself and your motorhome away for 70 nights of warmth and exploration. A mix of campsites, camper stops and private parking is used throughout the tour requiring the use of your motorhomes facilities on occasions. The trip will take you to some wonderful places requiring a confident driving approach at times and will be best enjoyed by those with a sense for adventure. We meet at a good quality campsite on Spain’s south coast near the port of Cadiz. The site is ideally located close to the beach, supermarket and town centre and this afternoon the Tour Directors will host a welcome drinks reception, giving you an opportunity to meet your fellow travellers. A free day. This evening we have a ‘Welcome to Canaries’ group dinner in a traditional restaurant with local food and wine. Today we have an excursion to Masca and Garachico. Masca clings to the hillside offering spectacular views over the Teno National Park and its terraced coffee bars are perfect for that mid morning break. 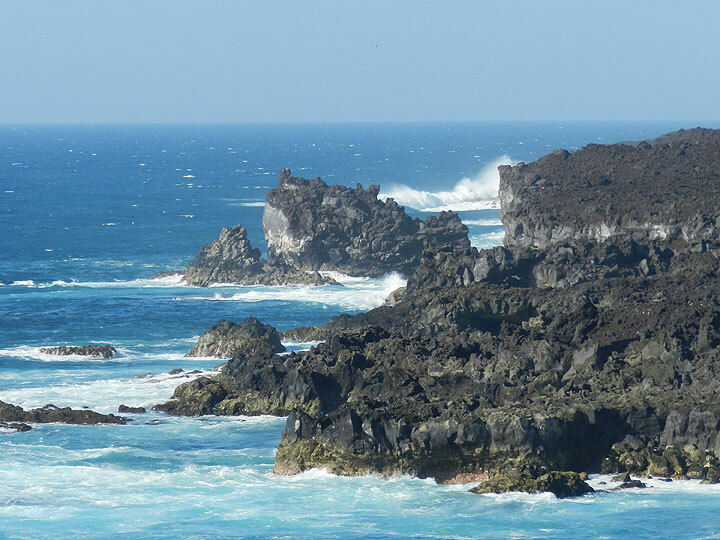 In Garachico we take a group lunch overlooking the sea before exploring this fascinating town covered by lava following the nearby 1706 volcanic eruption. A free day. Las Galletas is the nearest resort to our camping and can be reached by foot or short taxi ride. Here, as well as the beach, you will find pleasant pedestrian streets and sea front promenades with restaurants & coffee bars plentiful. Transport is arranged for a day in Los Cristianos & Playa de Las Americas; with full tourist facilities including dolphin and whale watching cruises available (optional and payable locally) you will not be stuck for things to do. A lesson in bananas today. Widely grown throughout the Canaries this afternoon we take a walk to a nearby plantation to learn how this fruit is grown and harvested. A free day, maybe make use of the campsite pool. 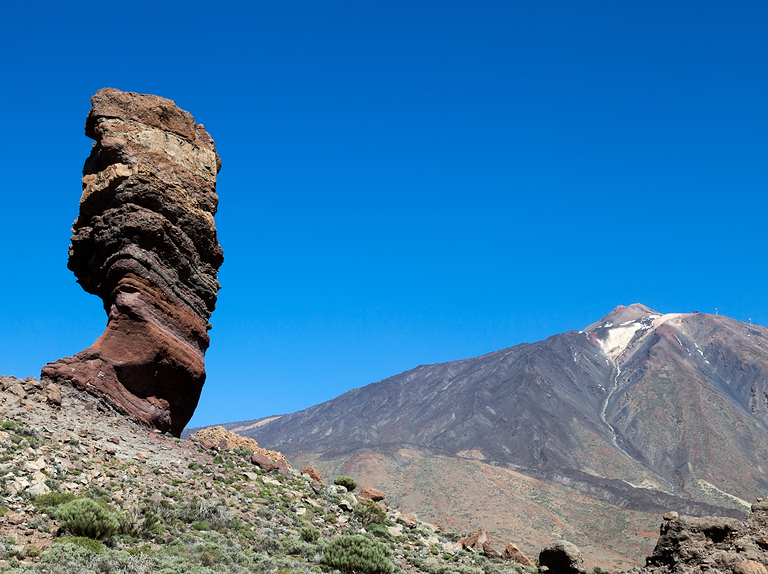 Today we visit the UNESCO World Heritage site of Park National del Teide. 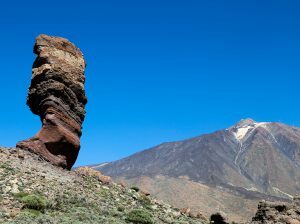 At 3,718 m (over 12,000 feet) Mount Teide is not only the highest peak in the Canary Archipelago but in the whole of Spain. Today you’ll need warm clothes, at this height expect temperature just like at home. Light lunch included. We take the ferry from Tenerife to La Palma (3 hours). La Palma is affectionately known as “Isla Bonita” (The Pretty Island) and you will see why. Arriving in La Palma our drive is just 25 miles to our mountain recreational camp in the north of the island, but allow a couple of hours, you’ll be sure to stop at some of the many view points along the way. Our camp has a traditional mountain restaurant attached. ideal for a meal tonight. Some free days to do the chores before we begin our tour around Tenerife’s West and North coast. Free days to enjoy the many attractions in Puerto; shops, restaurants, promenades and good beaches are all next to our camping. Free days to relax with the locals; it’s unlikely you will hear anything other than Spanish around here. You may take a swim in one of the many lido pools dotted close to our camping or had enough relaxing then the university city of La Laguna and the islands capital Santa Cruz are both in easy reach by local bus. For those who like to walk, you may join the tour directors on one of the very best walks in the Canaries, 10klms which really will take you from the mountains to he sea. Free days. Puerto’s botanic garden established in 1788 and containing thousands of plants from all over the world is worth a visit. Free days. Within 10 minutes walk of our camp is the lovely harbour hamlet of Playa de La Aldea with a handful of traditional restaurants overlooking the sea and its cove beach. A free day. Set in the base of a valley our campsite has wonderful mountain views and tranquillity in abundance, it also boasts full facilities including on-site swimming pool & restaurant. We take a group trip, starting with a wander in Arguineguin, then board our boat to Puerto de Mogan the ‘Venice of the Canaries’. Here there will be time for you to dine in a restaurant of your choosing, with them all overlooking the port or beach expect to be spoilt for choice. Free day. As well as relaxing at the campsite you may choose to wander into the local village with its one stop shop & bar. 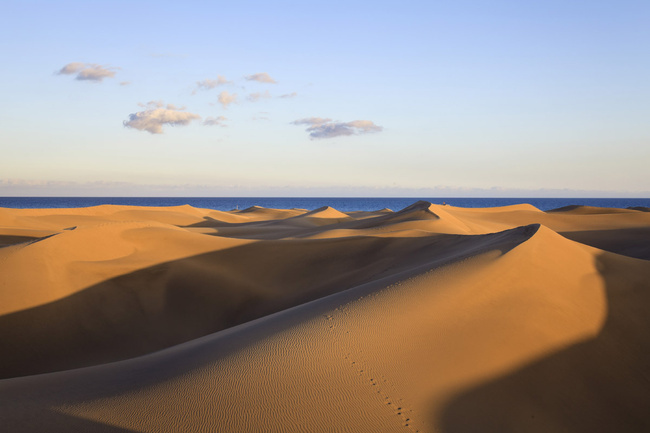 Today we visit the Maspalomas Dunes National park, more Sahara than Canarian they are a fabulous natural sight. You will have all day to spend on the dunes and around the Maspalomas resort. Transport is arranged to Arguineguin where it is market day today. A group excursion today to the interior of Gran Canaria, including the islands highest village with views all the way back to Tenerife. We have a group lunch in a traditional village restaurant. Today we visit Las Palmas, Gran Canaria’s capital. With its mix of architecture and cultures you may well feel like you’ve left Europe for the day. Free days. There are good walks available from our campsite and the sea is close by. A group trip to Arucas including a visit to its rum distillery, where of course we have tastings arranged. Later in the day we visit Jardin Canario, Spain’s largest Botanic Garden. 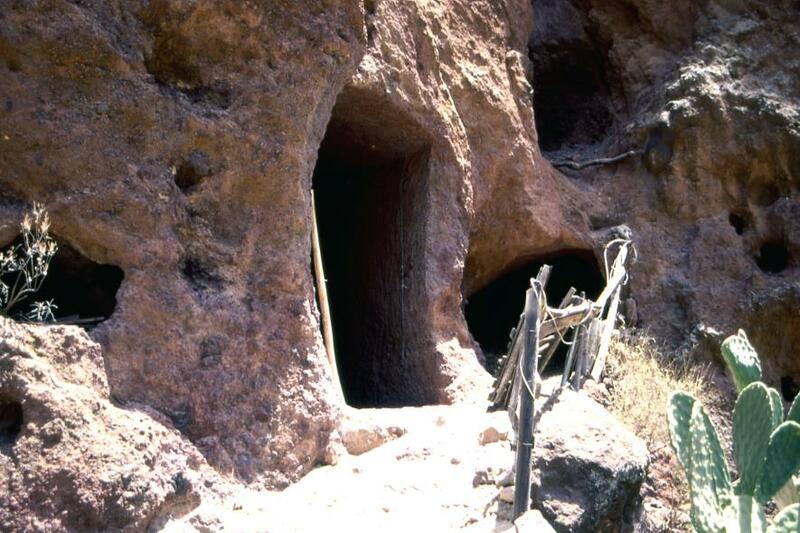 An excursion to Aguimes and Barranco de Guayadeque. In Aguimes we take a stroll and time for a coffee in the square, before arriving in Barranco de Guayadeque for its cave houses and restaurant where we take a leisurely dinner with wine. A free day and an opportunity to enjoy the Canarian weather. A day trip to Galdar and Puerto de las Neives. In Galdar we include a tour of the highly acclaimed excavation site of the original (pre Spanish occupation) Canarian inhabitants. A free day with our Farewell Dinner in the evening at the campsites own restaurant, a relaxed place to finish our tour whilst enjoying fine views out to sea. We arrive in Cadiz at midday where our tour ends. You may take the optional return to Calais package travelling with the Tour Directors or make your way independently from here. The start and finish points for this tour are southern Spain. 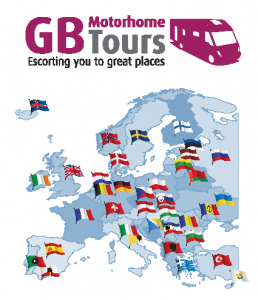 For those who would like to travel with the Tour Directors from the UK an optional package covering this is available. Likewise, those wishing to return to the UK with the Tour Directors may do so with the return home package. Join with the Tour Directors from the UK on a route to Cadiz in southern Spain designed to make your journey south part of the tour. We visit on the way three of Spain’s classic cities; Burgos in the north, Salamanca and its universities in the centre and Seville for some oranges in the south. Driving times throughout have been kept to daylight hours and the route offers a choice of taking toll motorways or national toll free roads through France and Spain with all campsites conveniently located close to both. A free day, this is day 1 of the main itinerary. An opportunity to travel with the Tour Directors as they make their way back to Calais whilst enjoying some en-route time in Southern Spain’s picturesque Andalucía region and its capital Madrid. After disembarking our ferry, we drive 100 miles to Ronda, one of the best Pueblo Blanco (White Villages) in Andalucía. A free day. Our campsite is within walking distance of Ronda where you are sure to want to spend the day. We drive 130 miles to Granada, if you only ever see one Spanish city make it Granada. A free day. 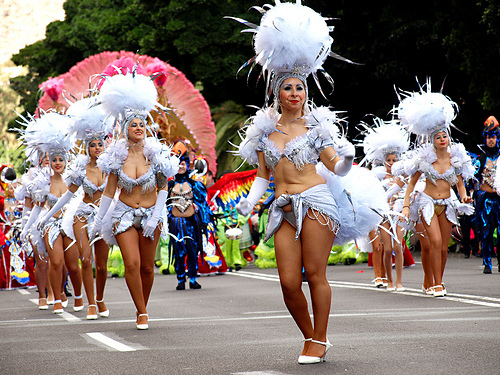 Granada centre is 45 minutes walk from our campsite or buses run from outside the campsite entrance. Do not miss visiting the Alhambra Palace today. 270 miles today to Spain’s capital Madrid. An opportunity to visit the city including the Prado museum. Public transport runs from nearby our campsite to the city. A free day, Biarritz centre is 45 minutes walk from our campsite or you can take the bus directly to the city from our campsite entrance.